Whether electric or acoustic there’s a fantastic ramshackle quality to Neil Young’s work and it’s hard to believe that albums as different as ‘Harvest Moon’ and ‘Arc’ were recorded by the same artist. Always ready to take a risk and immensely prolific over a 50+ year career he has nothing left to prove to music heads. IMHO he is not only one of the finest songwriters bit also one of the best guitarists in the business. Always close to the original spirit of garage rock, Johnny Rotten named him as one of his heroes back in 1977. Again this thread only barely touches his huge body of work both solo and with Buffalo Springfield, CSN&Y, Crazy Horse etc. It’s a thread where my allotted 3 choices really seem inadequate. As always your opinions and contributions are more than welcome. Much of ‘After the Gold Rush’ consisted of country-folk love songs, which consolidated the audience Young had earned through his tours and recordings with CSNY; its dark yet hopeful tone matched the tenor of the times in 1970, making it one of the definitive singer/songwriter albums, and it has remained among Young’s major achievements. ‘On the Beach’ was savage and, ultimately, triumphant album. “I’m a vampire, babe,” Young sang, and he proceeded to take bites out of various subjects: threatening the lives of the stars who lived in L.A.’s Laurel Canyon (‘Revolution Blues’); answering back to Lynyrd Skynyrd, whose ‘Sweet Home Alabama’ had taken him to task for his criticisms of the South in ‘Southern Man’ and ‘Alabama’ (‘Walk On’); and rejecting the critics (‘Ambulance Blues’). But the barbs were mixed with humor and even affection, as Young seemed to be emerging from the grief and self-abuse that had plagued him for two years. But the album was so spare and under-produced, its lyrics so harrowing, that it was easy to miss Young’s conclusion: he was saying goodbye to despair, not being overwhelmed by it. 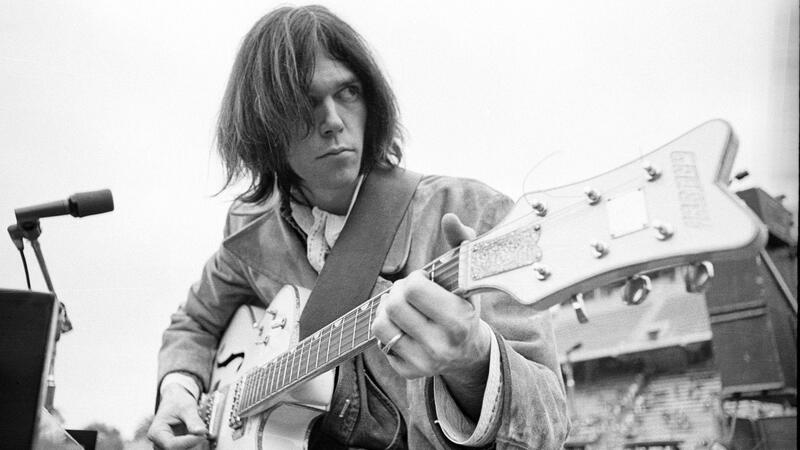 Having re-established his reputation with the musically varied, lyrically enraged ‘Freedom’, Neil Young returned to being the lead guitarist of Crazy Horse for ‘Ragged Glory’. The album’s dominant sound was made by Young’s noisy guitar, which bordered on and sometimes slipped over into distortion, while Crazy Horse kept up the songs’ bright tempos. Despite the volume, the tunes were catchy, with strong melodies and good choruses, and they were given over to love, humor, and warm reminiscence. A great album!